Alpha Metal Industries, is an ISO 9001 certified manufacturer with over 40 years of experience in Castings and Machining high precision products in high tensile aluminium and alloys. 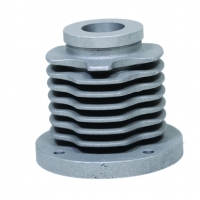 We have excellent exposure in casting aluminum metal which ultimately resulted into high-performance with superior strength characteristics for the most technically demanding applications. 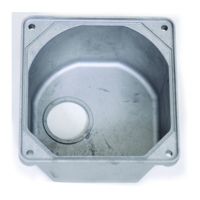 We manufacture a wide range of Aluminum components for Engineering, Automobiles, Electrical, Textiles related machinery spares / parts including customized components and sub assemblies, tooling and fixtures. Our rich experience in treating metallurgy enables us to offer customer focused or targeted manufacturing services. Currently one of many major tasks on hand is reduction in the degradation of the earth's environments, especially due to burning of fossil fuels in automobiles with the attendant emission of carbon into the atmosphere. It has been well chronicled that a 10% reduction in the vehicle weight improves fuel efficiency by 7% and proportionate reduction in carbon emission and increase in payload capacity. 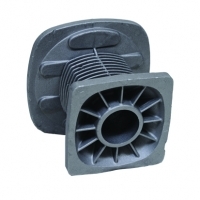 Use of Aluminum, magnesium and composite materials for castings, joining high strength steel to aluminum or further reduction in weight of parts already made from aluminum are some of the routes by which weight can be reduced economically. 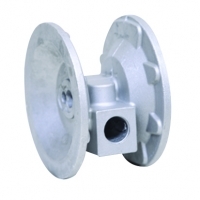 Therefore the above theme "Light weight in Aluminum Casting" was appropriate and timely. 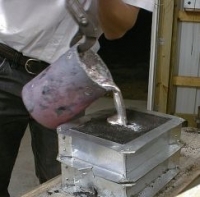 Light weighting of Aluminum Castings may involve changes in manufacturing processes, machines, materials, methods and tighter control on several parameters. Independent studies have confirmed that aluminum in automobiles has a 20 percent smaller life cycle CO2 footprint than steel. And compared with today’s steel cars, a fleet of aluminum vehicles saves the equivalent of 44 million tons of CO2 emissions. Copyright © 2015 Alpha Metal Industries | Design & Developed by Seawind Solution Pvt. Ltd.